Gentle spring loaded roller system will not tear dough. This moulder is designed for high protein flour and long fermentation doughs for artisan breads. Used by many of the finest bakers in the country for moulding all types of breads, baguettes & rolls from ½ ounce up to over 5 lbs. This compact design, with the pressure plate underneath the machine, returns the product to you making this unit a "one person" operation. These moulders handle the most difficult doughs with up to 15% protein flour as well as traditional artisan breads. The resulting products have superior oven jump and a seamless finish. 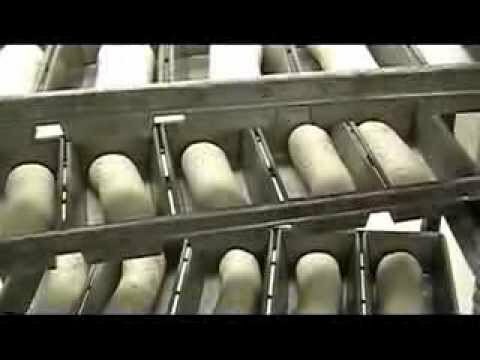 Six minute version of the Bloemhof 860/860L bakery video. The number one issue that concerns bakers that we talk to from across the continent is their concern for the rising cost of labour and the inability to find qualified staff. Whether it is a small artisan bakery doing everything by hand or an intermediate wholesale bakery trying to maintain their competitive edge over an industrial sized bakery. It's especially frustrating when you have the opportunity to grow with a new account but cannot find the right equipment or staff to meet the demand. Your concerns are our concerns and we have come up with some cost effective solutions that not only increase your productivity but also meet your needs for quality and consistency. Bloemhof Inc. has long been committed to bringing you the highest quality bakery equipment at competitive prices. We have been designing and manufacturing bakery equipment since 1960 and have an excellent reputation worldwide.manufacturing bakery equipment since 1960 and have an excellent reputation worldwide. 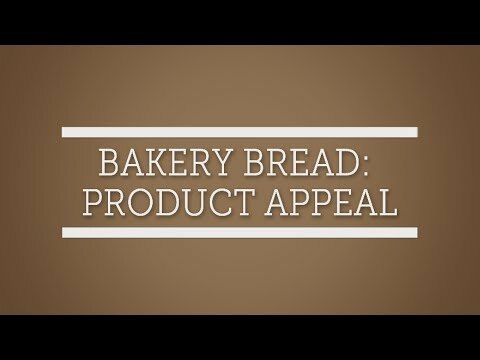 Our equipment is favoured by artisan bakers, small to intermediate wholesale, retail, franchise, in-store bakeries as well as restaurant and hotel operations. Truly a Baker's Best Friend! The best moulder on the market! 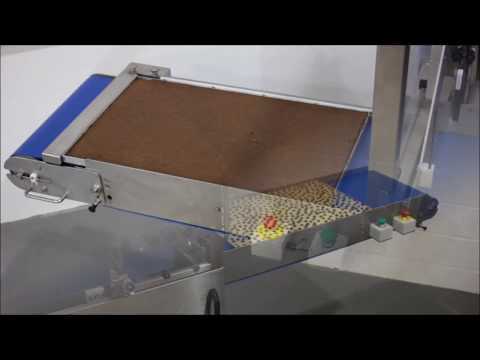 Gentle spring loaded roller system will not tear dough. Up to 4,000 lbs./hr. capacity when used with a bread system. Use for moulding all types of breads and buns. This compact design, with the pressure plate underneath the machine, returns the product to you making this unit a "one person" operation.